Makes your work areas more efficient and manageable! 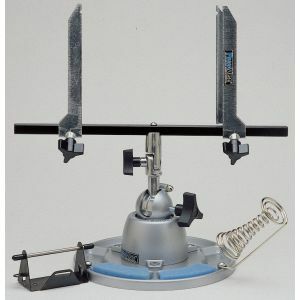 This complete package creates an economical work station with everything right at your fingertips! Purchase a Panavise 324 Electronic Work Center Today. Howard Electronics offer you the customer the best Vendor selection of Soldering and Desoldering tools, SMD Rework, Heat Guns, Microscopes, and Specialty tools you could ask for. Our vendors are Atten, Auburn Technology, Chip Quik, Den-On Instruments, EDSYN, Goot, Hei Scope, JBC Tools, Jensen Global, Jovy, Mag Eyes, Master Appliance, Midwest Devices, MG Chemicals, Pana Vise, Qualitek, Steinel, Scienscope, Virtual Industries, Weller, and Xytronics. Please select the best vendor for the tools that you require. We Guarantee the Lowest Prices! Find a Better price on anything and we'll beat it. © 1992-2018 Howard Electronic Instruments, Inc.